Cholesterol is essential for the formation of bile acids, which allow you to be able to digest fats. Cholesterol is also utilized by the body to produce cell membranes. Everybody needs to have some cholesterol in order to be healthy, however it is when you have too much cholesterol that problems occur. When you have too much cholesterol medical professionals will say you are hypercholesterolemic, meaning that you have hypercholesterolemia, or too high of blood cholesterol. High blood cholesterol is a major risk factor for coronary heart disease and for stroke. Cholesterol is transported through your blood stream by lipoproteins. There are two different types of lipoproteins: LDL or low-density lipoproteins and HDL or high density lipoprotein. LDL: LDL is known as your “bad” cholesterol. When you have too much LDL circulating in your blood it can build up the inner walls of your heart arteries. Over time this forms plaque. Plaque narrows your arteries and puts you at an increased risk for having a heart attack or a stroke. HDL: HDL is known as the “good” cholesterol. High levels of HDL have been shown to protect against heart attack. Low levels of HDL, however, can increase the risk of heart attack or stroke. High cholesterol may be caused by the foods you eat in your diet, it can be genetic or related to other diseases. 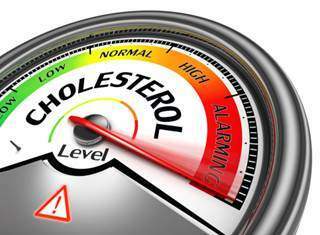 Raised cholesterol levels can run in families. If inherited cholesterol levels are very high, this is called Familial Hypercholesterolemia. High cholesterol is also connected with diseases such as chronic renal failure, underactive thyroid, alcohol abuse and diabetes. Following the principles of healthy eating can help to improve cholesterol levels. Diet The liver makes most of the cholesterol needed by the body but cholesterol is also absorbed from many foods we eat. Eating foods high in dietary cholesterol such as eggs, shellfish and offal has very little effect on your body’s cholesterol. The foods that are of greater concern are those high in saturated fat and trans fat. These fats can raise your levels of LDL (bad) high cholesterol and thus increase your risk of heart disease and stroke. Whereas, unsaturated fats can help to improve cholesterol levels and reduce your risk of heart disease and stroke. Bad Fats Saturated Fats Foods high in saturated fat should be consumed in small amounts. Reducing your intake of saturated fat is an effective way of lowering your LDL (bad) cholesterol. Baked products (e.g. biscuits and pastries). You should limit the amount of foods you eat that contain saturated and trans fats. Your doctor can determine your target levels based on your risk factors for heart disease using your age, gender, total and HDL cholesterol, blood pressure level, medications, and smoking status. An LDL cholesterol level of less than 3.0 mmol/L is best. An HDL above 1.0 mmol/L is best. If your risk is low, your LDL cholesterol should be less than 5.0 mmol/L and total cholesterol HDL-C ratio should be less than 6.0. If your risk is moderate, your LDL cholesterol should be less than 3.5 mmol/ and total cholesterol HDL-C ratio should be less than 5. If your risk is high, your LDL cholesterol should be less than 2.0 mmol/L and total cholesterol HDL-C ratio should be less than 4.0. An HDL cholesterol level of less than 1.0 mmol/L means you’re at higher risk for heart disease. If you have diabetes, your LDL should be less than 2.0 mmol/L. If you’ve already had a heart attack your LDL needs to be less than 2.0 mmol/L. Increase physical activity – aim for 30 minutes or more of moderate intensity physical activity every day of the week. Take your medicine every day as directed by your doctor – medication can help reduce your cholesterol if it’s too high. Saturated fat, trans fat, and cholesterol in the food you eat increase cholesterol levels. Reducing the amount of saturated fat and trans fats and cholesterol in your diet helps lower your blood cholesterol level. In addition to being a risk factor for heart disease, being overweight can also increase your cholesterol. Losing weight can help lower your LDL, total cholesterol levels, and triglyceride levels, as well as raise your HDL. Regular exercise can lower LDL cholesterol and raise HDL cholesterol. You should try to be physically active for 30 minutes on most days. As we get older, cholesterol levels rise. Before menopause, women tend to have lower total cholesterol levels than men of the same age. After menopause, however, women’s LDL levels tend to rise. Your genes partly determine how much cholesterol your body makes. High blood cholesterol can run in families. Occasionally a medical condition may cause an elevation of cholesterol levels in the blood. These include hypothyroidism (an underactive thyroid gland), liver disease and kidney disease. Some medicines, like steroids and progestins may increase the “bad” cholesterol and decrease the “good” cholesterol. What Can I Do To Reduce My Cholesterol Level? If you have a low cardiovascular risk you may be initially advised to try and get your cholesterol down yourself over a period of time. A healthy diet can help to reduce your cholesterol. Reduce your total fat intake – limiting the number of calories you take in that come from any fat can have a beneficial effect but it is important to consider the types of fat you eat. Reduce your intake of saturated fats and trans fats – these increase LDL-cholesterol and therefore increase your cardiovascular risk. Increase your intake of unsaturated fats – these increase HDL-cholesterol and help to reduce LDL-cholesterol, therefore reducing your cardiovascular risk. Which Foods Contain These Different Types Of Fats? Saturated fats are mainly found in animal sources, such as butter, full-fat dairy and the fat on meat. Choose lower fat options of these, and remove the fat where possible, for example use low fat spreads and take the skin off chicken. Trans fats are found mainly in processed foods. Reduce your intake of foods like biscuits, cakes and pastries. Replace with healthier options such as fruit or unsalted popcorn. Unsaturated fats are mostly found in plant sources and fish (for example olive oil, nuts and seeds, and oily fish such as salmon). High levels of LDL cholesterol (bad cholesterol). LDLs are low-density lipoproteins. These carry the largest amount of cholesterol in the blood. When you have too much LDL cholesterol in your bloodstream, it can cause a condition called atherosclerosis [ath-uh-roh-skluh-ROH-sis]—a build up of dangerous “plaque” in the walls of your arteries. 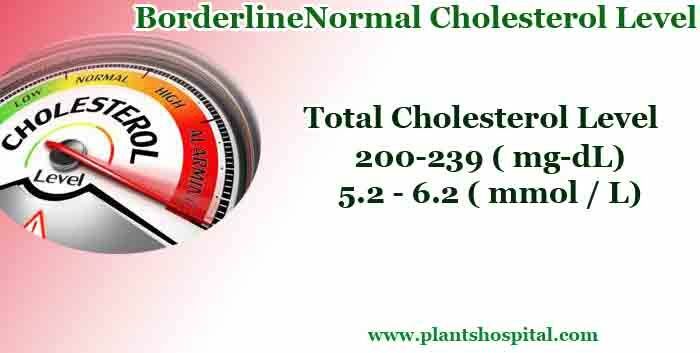 Low levels of HDL cholesterol (good cholesterol). HDLs are high-density lipoproteins that remove some of the LDL from the artery walls, preventing or slowing the buildup of plaque. Thus, having too little HDL cholesterol in your bloodstream can also be risky. Understanding Cholesterol. High levels of triglycerides [trahy-GLIS-uh-rahyd s]. Triglyceride is the most common type of fat in your blood. Studies show that many people who have heart disease have high triglyceride levels. High triglyceride levels, combined with low HDL cholesterol or high LDL cholesterol, seem to speed up atherosclerosis. Choose low-fat milk alternatives such as soy- or rice-based products. Choose low-glycemic index foods Fruits. Choose whole and unprocessed fruit for more fibre. Choose a variety of colours. Choose fresh vegetables, if possible. Choose lean meats, trim visible fat, remove skin from poultry. Choose lower-fat cheese (less than 20%) milk fat. What Sort Of Foods Are Healthy Choices? Lowering your cholesterol level by eating healthy foods low in fat is easier than you might think. It mostly takes a bit of common sense and a real interest in improving your health. You don’t have to quit eating your favourite foods, although you might need to eat them less often or sometimes replace them with healthier choices. Foods low in total carbohydrates, and saturated and trans-fatty acids, but high in complex carbohydrates, protein, and mono- and polyunsaturated fat can help you lose weight. Omega-3 fatty acids from fish and plant source. Fish, poultry without the skin, lean beef. Unsaturated vegetable oils: corn, canola, safflower, sesame, sunflower, olive, soybean. Graham crackers, animal crackers, fig bars, vanilla wafers, lady fingers. Pretzels, air-popped popcorn, bagels, English muffins. Pancakes or cereal with low-fat milk. Butter, coconut oil, palm oil, lard, bacon fat.